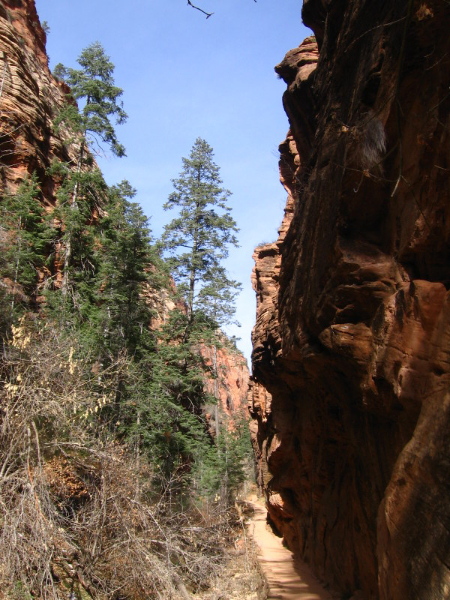 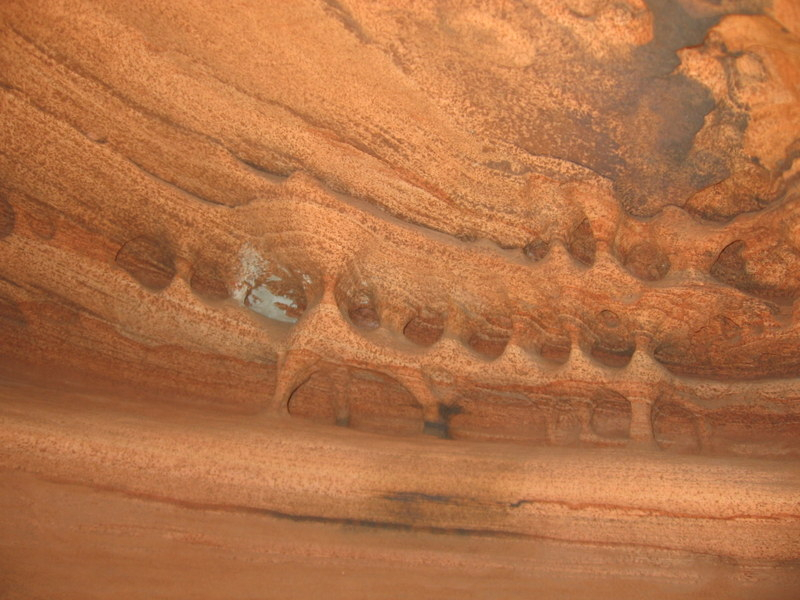 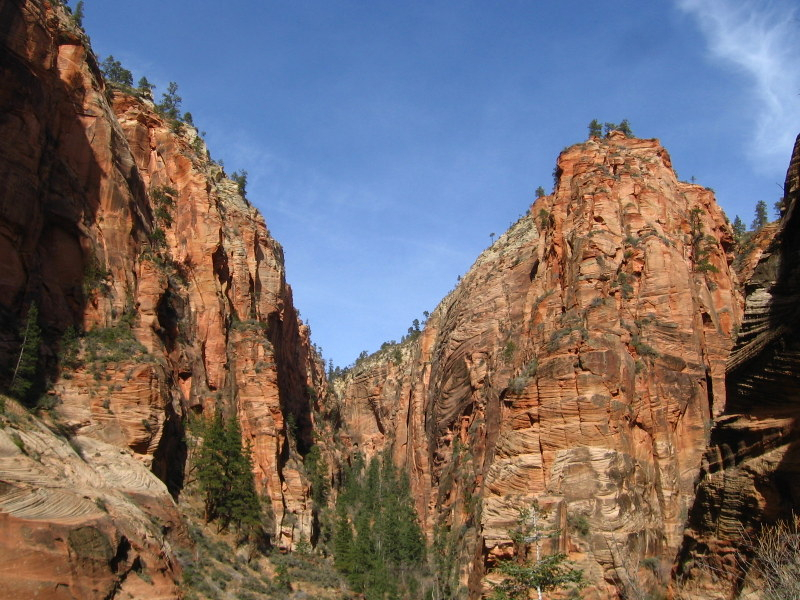 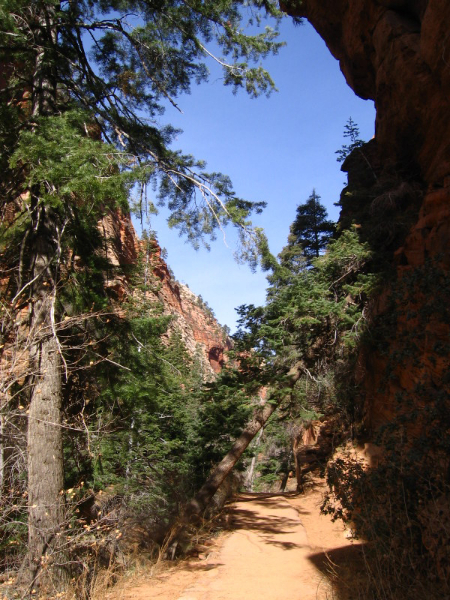 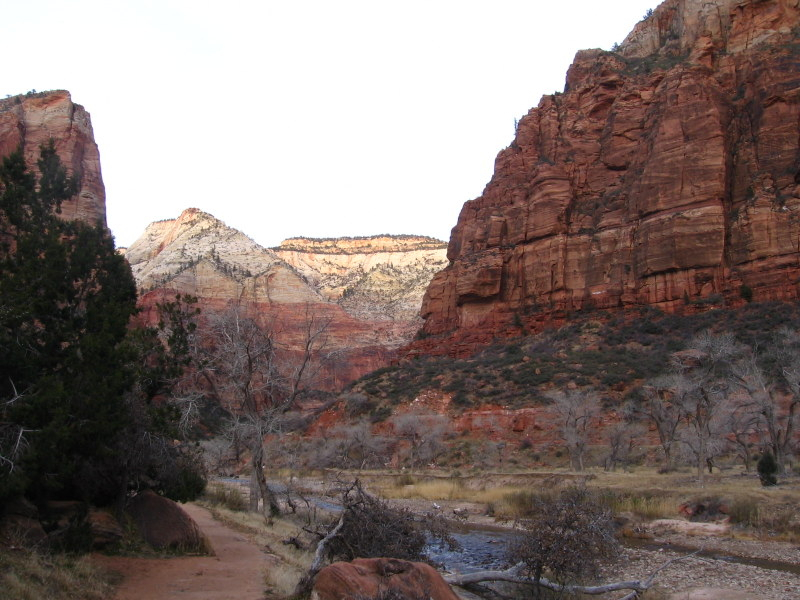 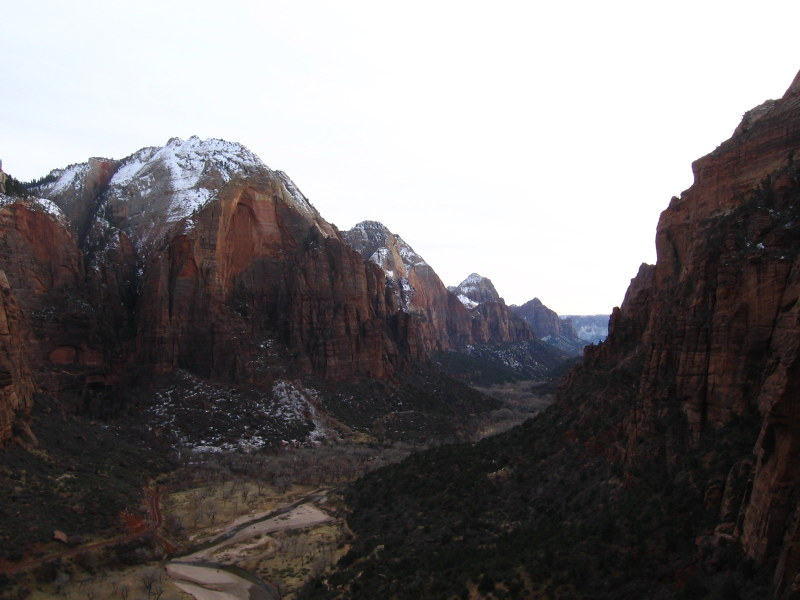 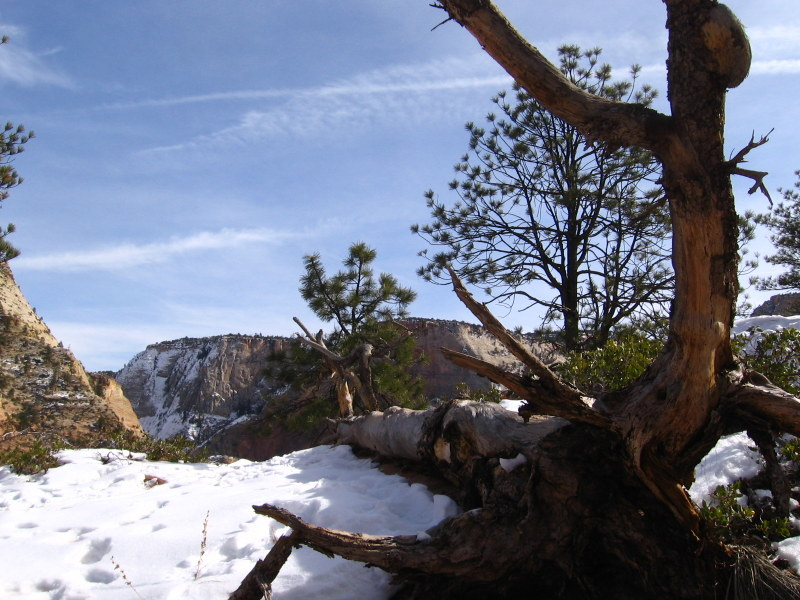 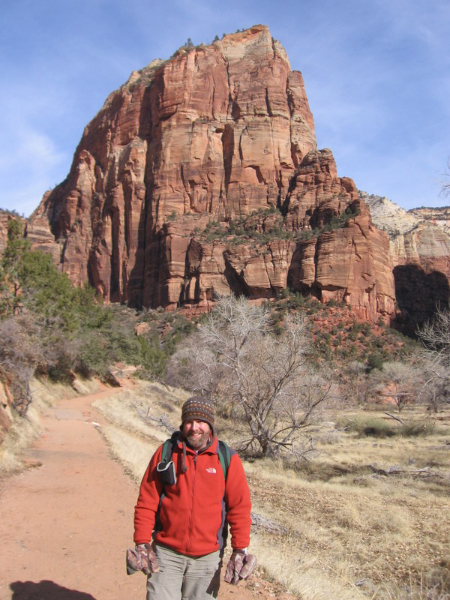 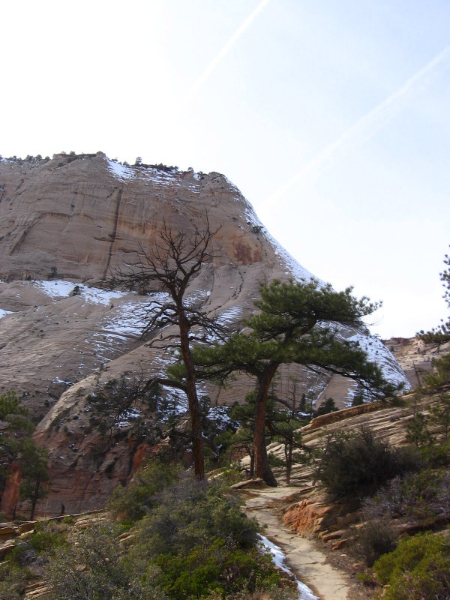 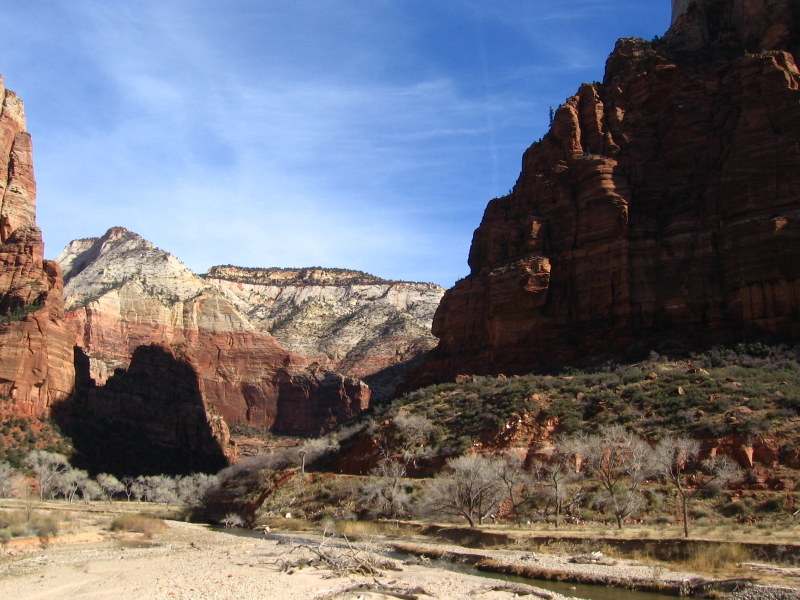 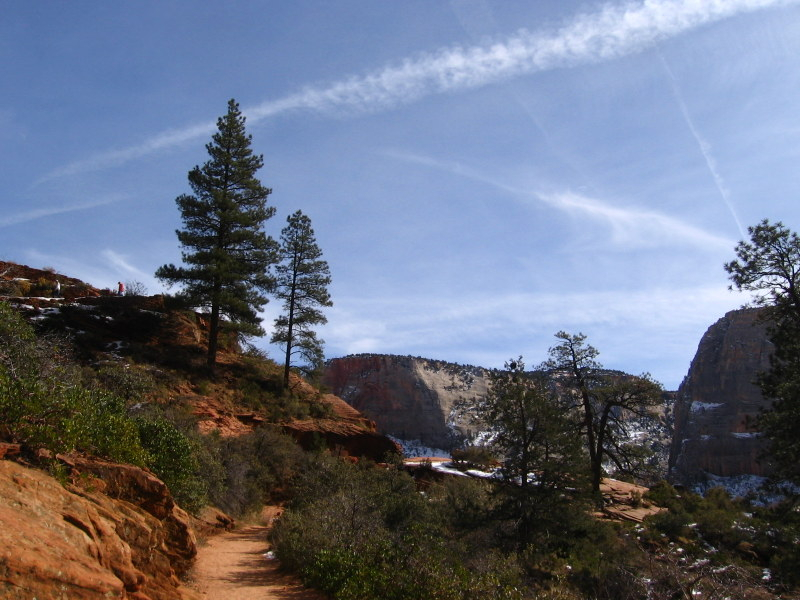 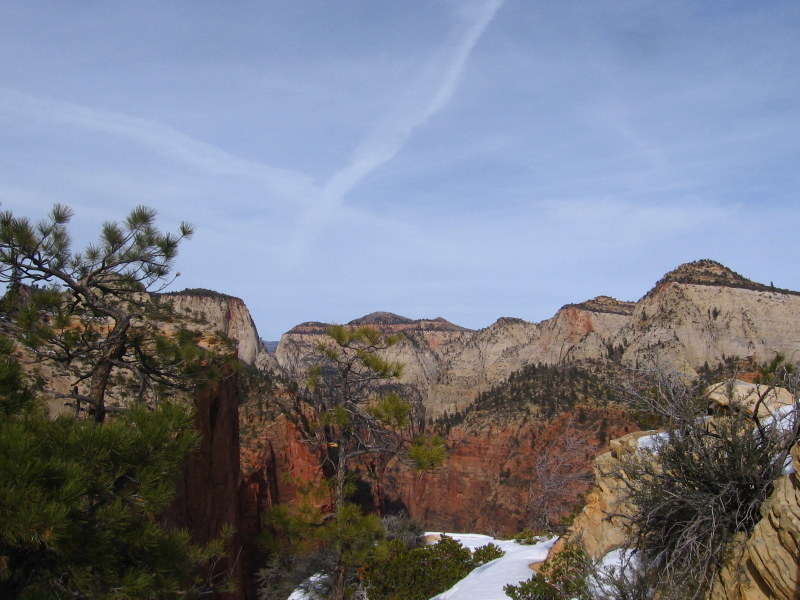 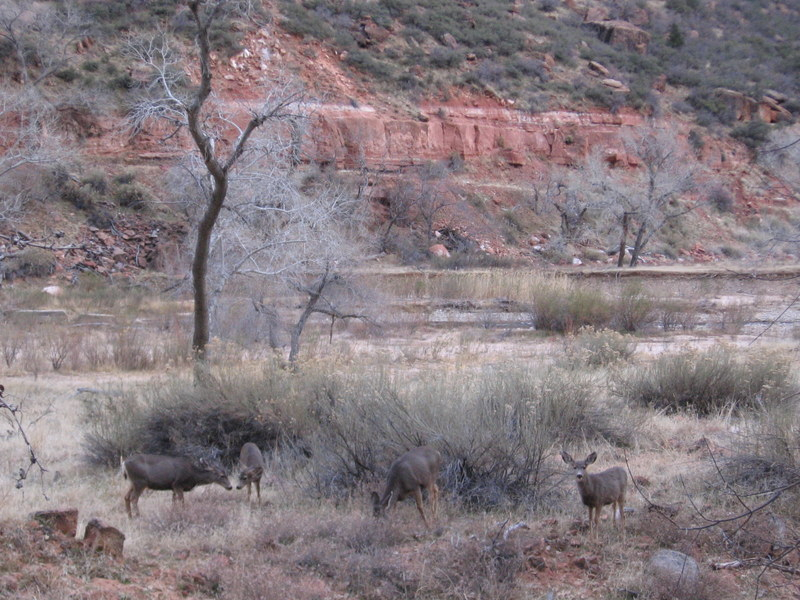 This Zion National Park hike begins in the parking area across from The Grotto. 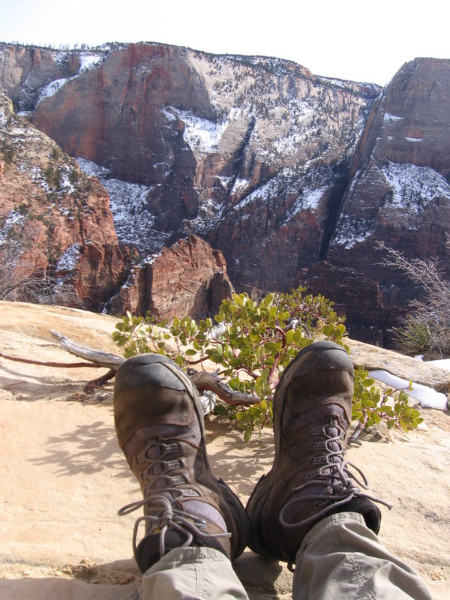 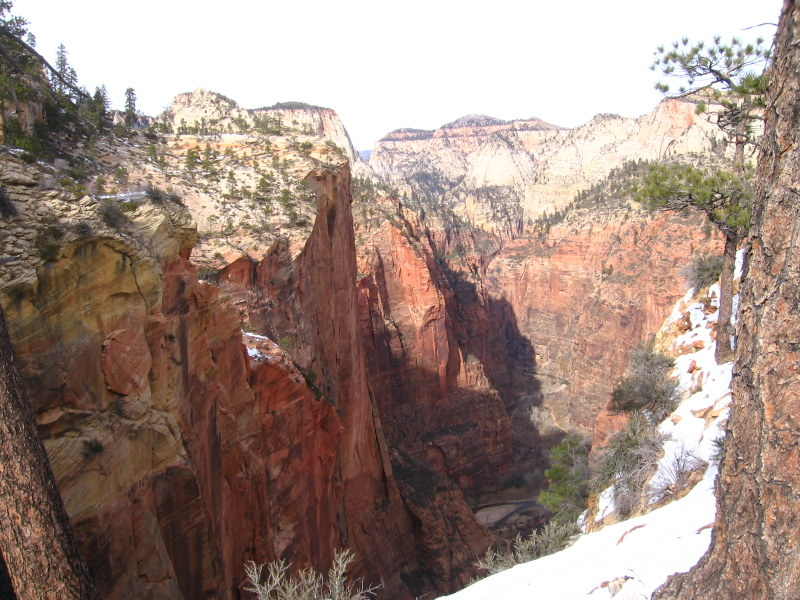 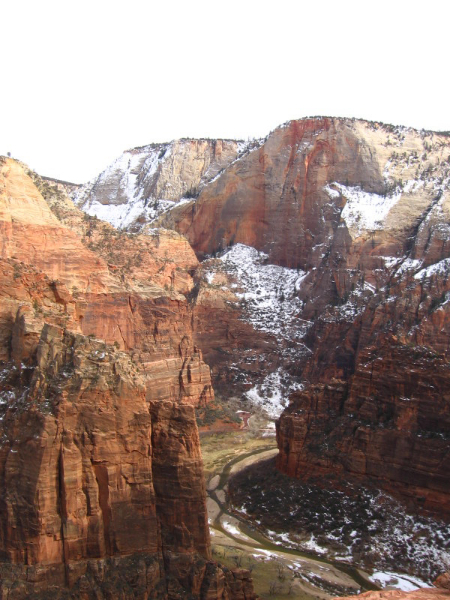 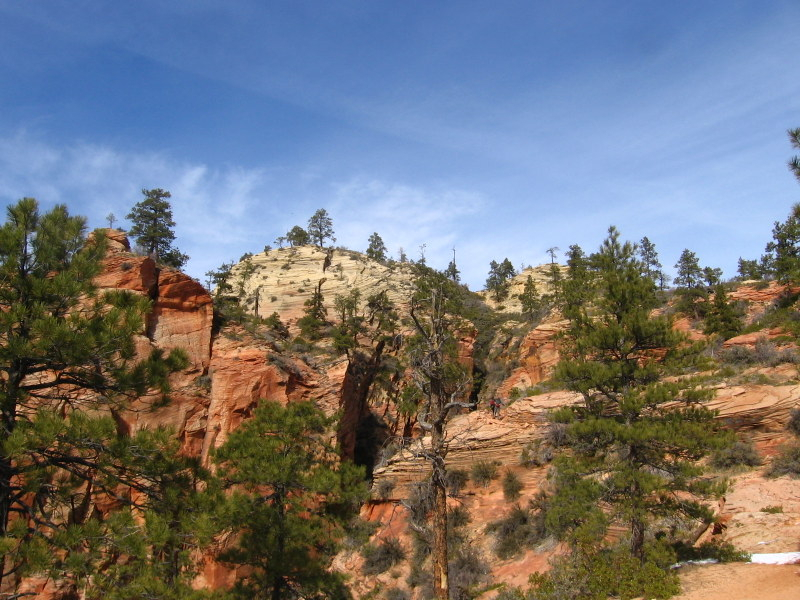 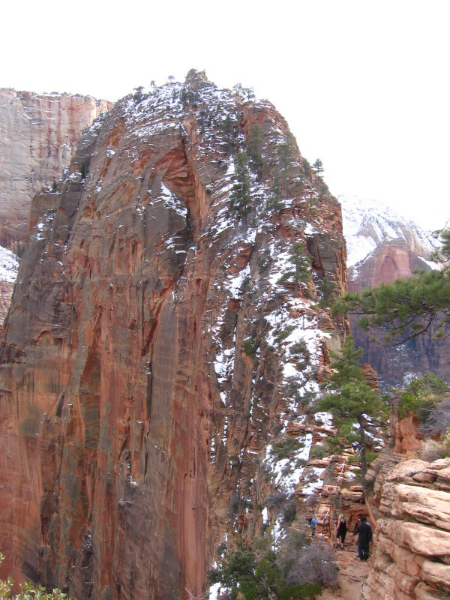 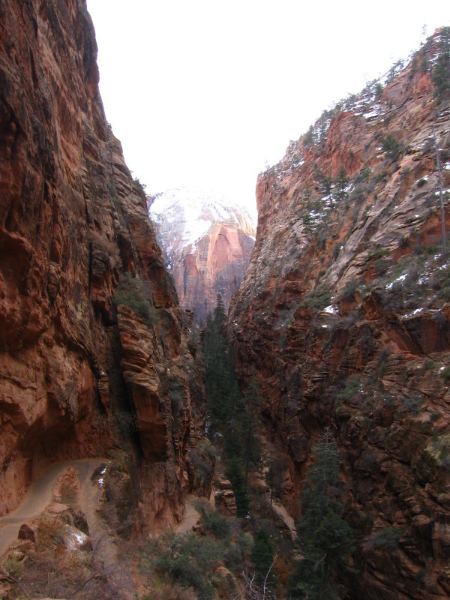 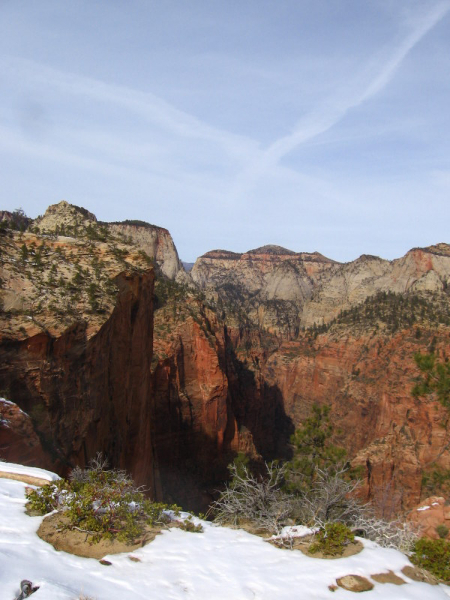 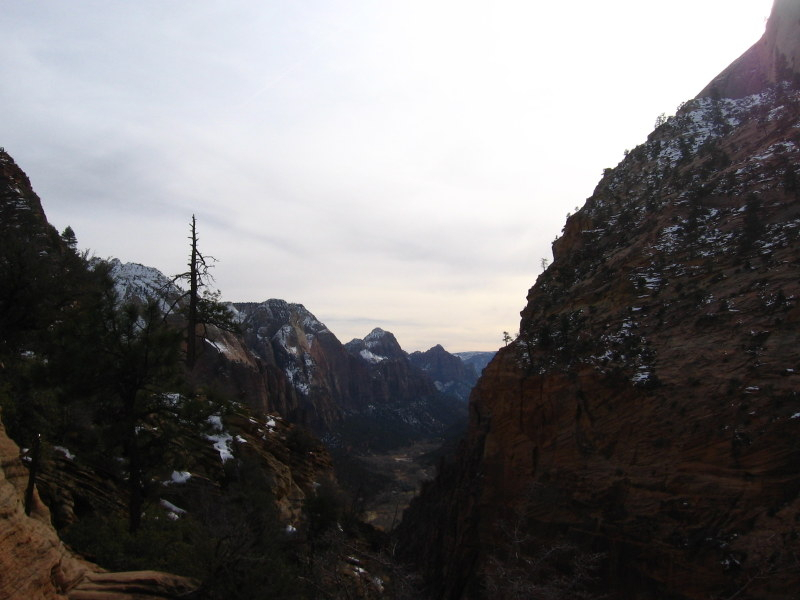 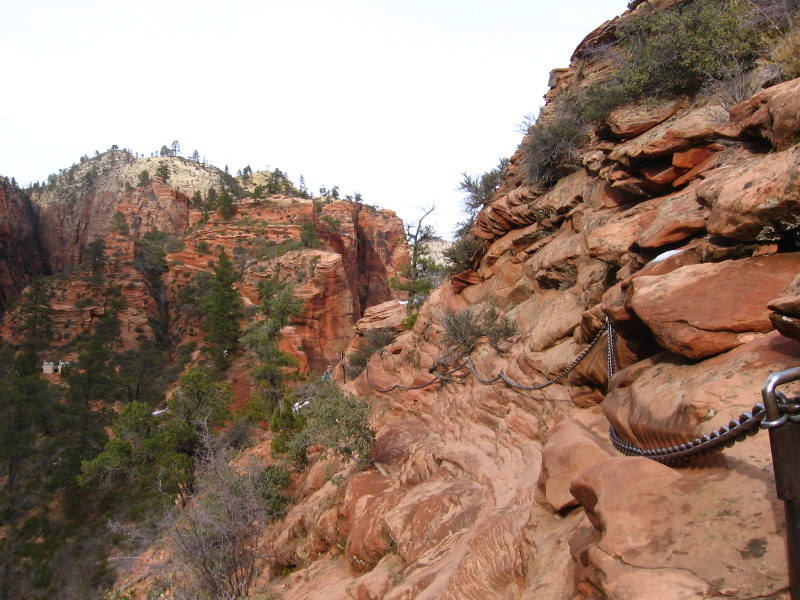 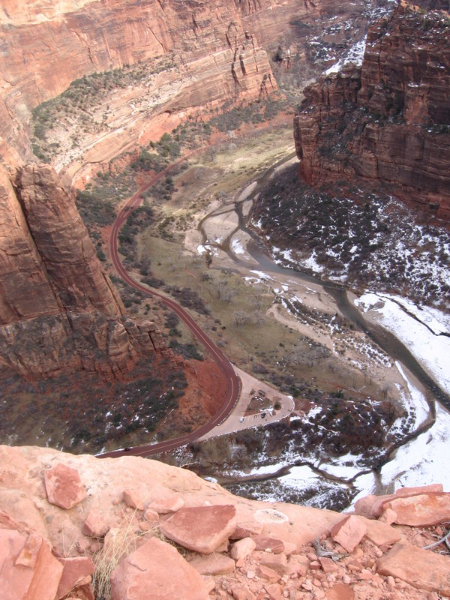 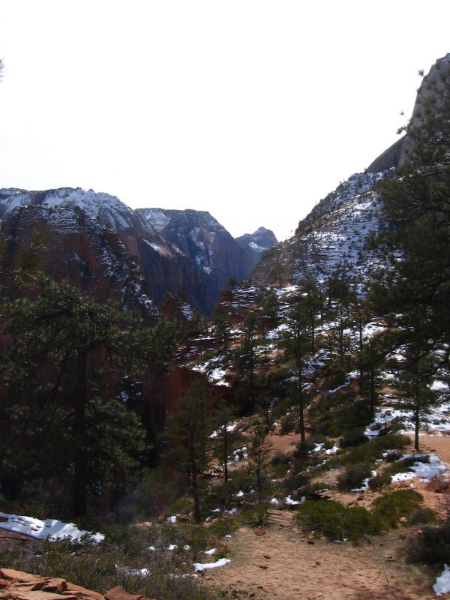 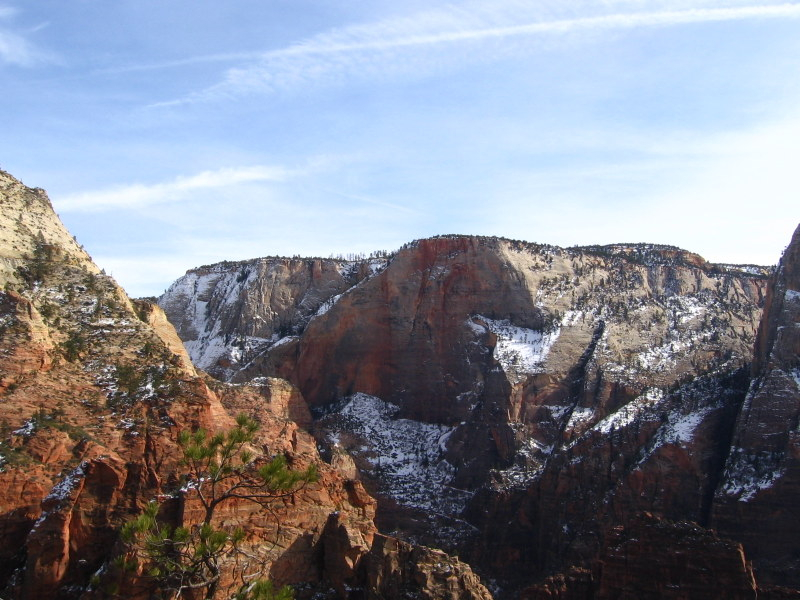 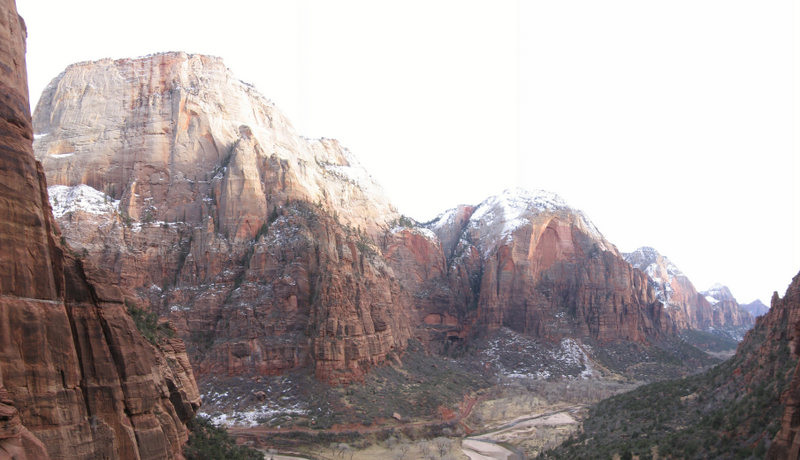 I first ventured up to Scout’s Lookout and then went a short ways up the West Rim Trail before turning around and heading out on to Angel’s Landing. 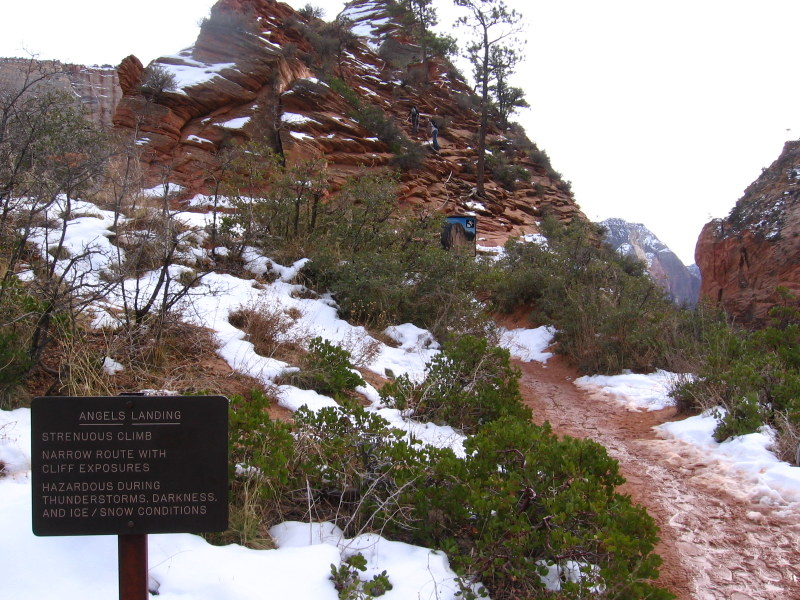 I did not hike all the way out to the end of the Landing due to the ice on the trail. 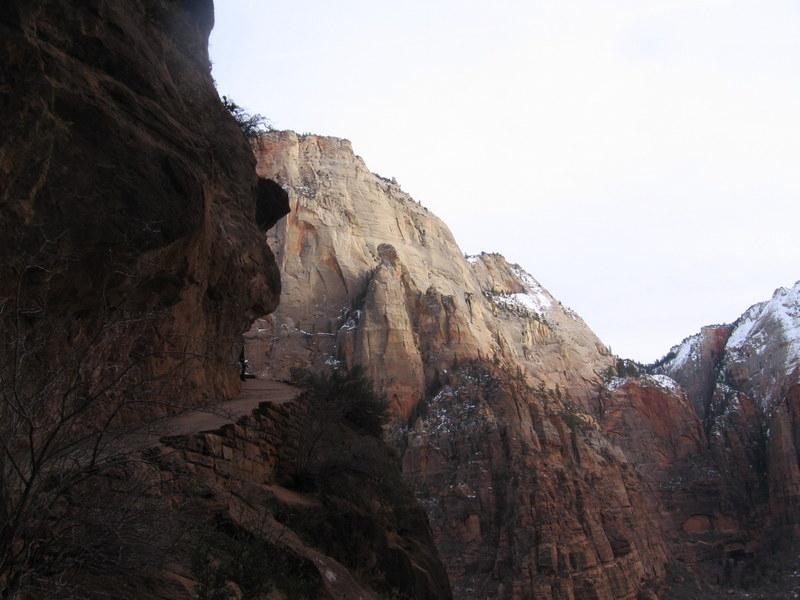 This is the most exposed trail I have been on to date.